Why is Roblox So Popular? Article - Virtual Worlds Land! Why is Roblox So Popular? Rate this Article Why is Roblox so popular in this day and age? We took a deeper look and this is what we've come up with! To begin dissecting the reasons behind the success Roblox is enjoying, we'll need to find out what Roblox is all about first, which you can do so by checking out our all About Roblox article on RobloxGo. Once you're done, you'll quickly realize that there are a few key factors contributing to Roblox's incredible rise in popularity. In this game, players are given the space and tools they need to really unleash their creative potential, be it coding a fun and unique game or constructing an amazing-looking castle. 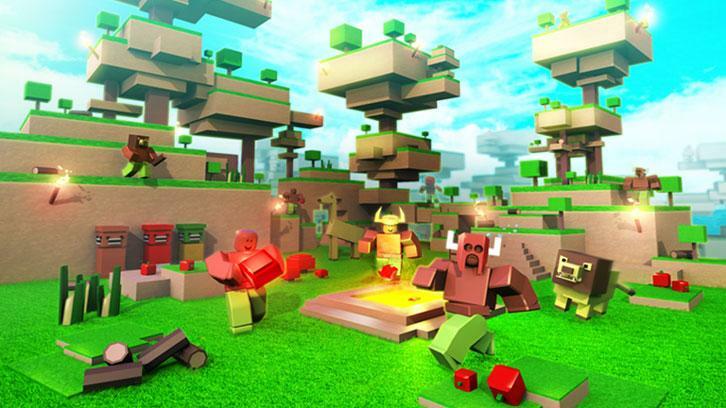 In some way, you can even venture to say that Roblox, being released back in 2006, has paved the way to fame for other sandbox games like Minecraft by making many players realize the fun of creating virtual worlds in a sandbox game. As a result of having the freedom to create, there are tons of fun and exciting player-created content that can help keep Roblox's players engaged while attracting new players into the fold. This factor also works like a feedback loop to the first point since players who have really enjoyed a content created by others may be inspired to create content of their own. The support shown to up-and-coming, amateur content creators in Roblox is amazing to say the least. The developers themselves often come up with guides as well as tips and hints on the game's blog to help new content creators along. Of course, let's not forget that they recognize the efforts done by their content creators via the annual Bloxy Awards where the best creators, as voted on by the community, are given the chance to be in the limelight. This is another crucial factor that has contributed to Roblox's rise to popularity. Parents can rest assured that their child won't be exposed to any undesirable elements by allowing their kid to play Roblox. A game developer parent may even use the game platform as a way to teach their child the basics in game development. Of course, we haven't even taken into account the plenty of skills that a child can pick up simply by playing the many games on Roblox. In contrary to most people's beliefs, there are also plenty of older players (mainly young adults) in Roblox too. These are usually players who have grown up with the game and its community, and hence, have an invested interest in the game. They may also be young game developers who are trying to make a name for themselves by creating fun games on Roblox. Roblox is a family-friendly game too! If you have a family of your own, then you could enjoy playing Roblox together with your child while strengthening your familial bonds in the process. Ultimately, the popularity of Roblox among its players can be linked back to what Roblox itself is all about. If Roblox can keep this up and encourage more content creators to join their booming community which in turn will produce fun content to attract more players, then it's very likely that Roblox is here to stay for the (very) long term. Who knows? Maybe one day you may be able to play Roblox with your own kid! Looking for a fun Roblox game to play? Well, be sure to drop by RobloxGo today and check out our comprehensive reviews for the most played games on Roblox. Don’t see a review for one of your favorite games? You can drop us an email or a message to let us know and we’ll review the game!